In a moment of full transparency (as if there is any conversation that is “off-limits” with me), I battled an issue of the heart this past week. Ever since last Sunday, I have been internally wrestling with God because I was finally feeling the weight and the pain of growing up without a father. As I mentioned in last week’s Message, I am reading this book called Captivating, by John and Stasi Eldredge, and it is truly opening my eyes and heart to so many new levels of God… and deeper levels of me. One of the things that I realized was that I was still in great pain over losing a relationship with my dad at the tender age of three years old. Each day that passed this week was met with a new lesson- even if the lesson followed a hard emotional battle- and I am here today to tell you that I truly found the love of God through it all. My parents separated when I was about three years old. I barely knew how to spell my name at that age, much less understand that the separation of my parents meant the end of my relationship with my dad. Yet what became painfully obvious as I aged was that when he left my mother, his family and my sense of stability, assurance, and completion left with him. I experienced pains that I could not explain or put into words. Father/daughter dances were not a part of my reality; bedtime stories and kisses on my boo-boos were things that only happened on tv. I didn’t have a father… and I didn’t have his love. Well, up until last week, I thought this meant that I didn’t have a Father’s love, truly believing that if my earthly father could not love me enough to stay, that no other man would love me, either. I had a serious come-to-Jesus moment where He revealed my two greatest fears: 1. Being abandoned/left and 2. Being loved. I realized that I had sabotaged every relationship in my life- even platonic friendships- because I was afraid that that person would love me one moment and leave me the next. My dad had done it. Siblings and aunts and uncles, too. I just knew that everyone would leave me at some point. So I hardened my heart, blocked love from coming in, and pushed people away when they got too close. All because I thought I lacked the love of a father…. To a maturing girl, a father is supposed to be a hero, our galiant protector. Girls are supposed to marry men like their fathers, learn their value from their fathers, and learn how to love a man from their fathers. But I didn’t have one of those…how was I supposed to learn these things? Who was going to tell me that I was beautiful and worth loving? Who was going to push me on the swing and tell me stories of my ancestors? While I love my mother, that wasn’t her strong suit…and definitely not her role. I was supposed to be a daddy’s girl; he was supposed to be my refuge from the strictness of my mother. He was supposed to be there. I honestly think I shut down on the day that I finally realized that I did not have what others had- a father who loved them. I lived the majority of my life truly believing that I had a father but that he didn’t- couldn’t possibly- love me. Even when he came back into my life, the relationship was not the same; he had missed everything and time could not be rewound. My whole life had changed and he could not help me. My innocence had been taken and he could not save me. So like I had done with men of the past, I let my dad in, but at an arm’s length. I shared honesty and truth with him… but never this… because I did not know it was there until this week. I smiled and hugged, offering those three little big words, all the while pain was brewing deep inside. I was bruised on the inside, bleeding at a rapid rate, yet completely unaware of the hemorrhage. Through this bible study read of Captivating, I realized that I did have a Father who loved me. I realized that I had a Father who loved me and had been yearning to share all of these moments with me. He sat waiting patiently for me to open up my heart so that He could come in and fill every void that I had. He even added that the voids were shaped to specifically fit Him and Him alone. He told me that I was beautiful and that I was created in His image. He told me with His words that He loved me… and then He showed me with His actions. While leaving a church-wide prayer vigil on Friday night, I stepped outside of my church and was greeted by a sky full of stars. Straight ahead of me sat the most beautiful stars that I had ever seen in my entire life and right in the midst of them, there was one star shining ever so brightly. In that moment, I knew that that one star, with its beauty pulsating in the sky, was me. Not from a place of arrogance, but God was telling me that in a place where there were so many others like me, He had called me to shine and stand out among them. With this one vibrating star, God told me that I was beautiful, I was His beautiful child, and that He loved me. My God was my Father. In the bible, our ancestors learned the various names of God as they went through various situations. They learned that He was Jehovah Jireh, their provider, when He supplied a sacrifice for Abraham to offer on the altar, instead of Isaac (Genesis 22). They learned that He was Jehovah Nissi when He stood before them and fought their battles for them (Exodus 17). They learned that He was Jehovah Rapha when He healed the sick (Exodus 15). And this month, specifically this past week, I learned that He is my Papa, my Father, my Abba, my Daddy. Beloved, this may be another one of those posts that is “just for M.E.”… but I pray it is not. I pray that something in here stands out to you and that you find comfort, strength, or something from my words. Understand this, one of the biggest lessons that God showed me was that my worth and beauty were not found in the hands of man or a man…even if that man was my earthly father. God removed layers and band-aids just to show me that He gave me my beauty when He created me in His image. He stripped my heart to its most bare point just to tell me that He gave me my worth when He sent His Son to die for my sins. The beauty of all of that is that He did it for me… and He did it for YOU. You are beautiful because you are His. You are worth loving because He is your Father. Close your ears to what man says and open your heart to the words of God- our loving Father. It is a Father’s duty to pour love into His children; they are supposed to learn who they are and their roles through the presence and love of their Father. My dear sister and brother, please turn to our Father and let Him reveal Himself to you as only He can. I too was raised without a father because of divorce. I had no intimate connections with any males in my life and was raised by a feminist who exposed me to propaganda that I was somehow bad because of my genitalia. Then I found my best friend who gave me the male attention that I so lacked, this during puberty. Then he committed suicide. My devastation was beyond words (though I blog about it)(LOL!). I went into the gay life because I was seeking what I had lost. 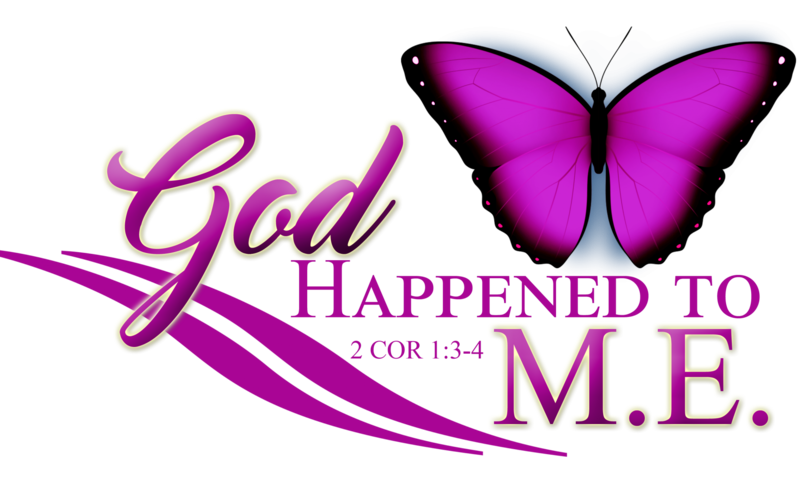 It was only through a near death experience (that God orchestrated on the anniversary of his death) than I came back to the living God. Praise be to His name! Your testimony is amazing! I’m so glad that God is working on you and through you. Continue to prosper in Him.